Nilkamal intends to add beauty to your home with an array of small, attractive knick knacks which include the Big Stone Pebbles Jar (Multicolor). This Pebble Jar will subtly enhance the beauty of your interior décor and make it look homier as well as stylish at the same time. 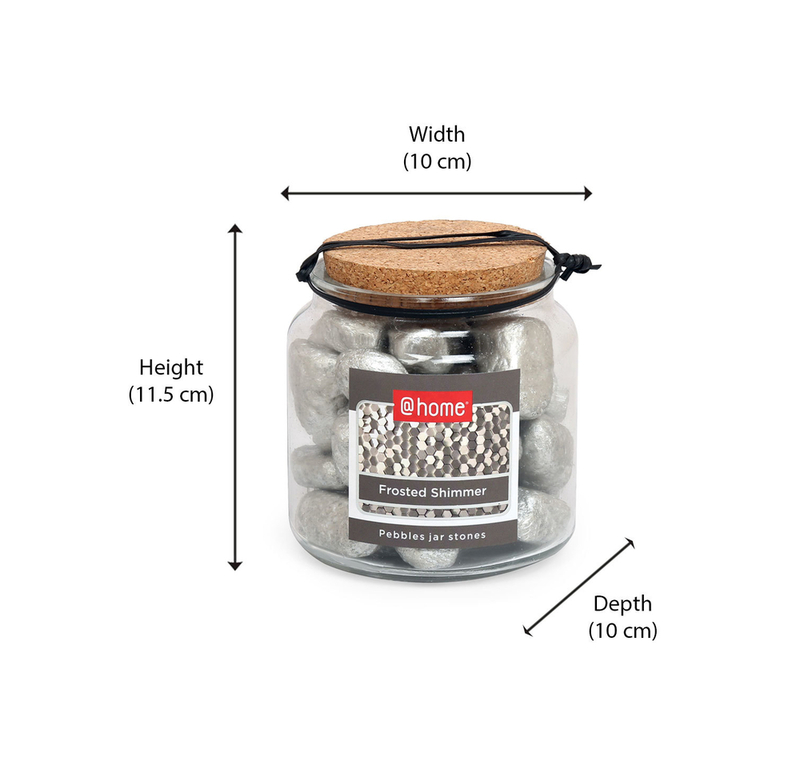 The Big Stone Pebbles Jar (Multicolor) package contains a mason jar, a cork to close it off and big stones with smooth rounded edges in a dazzling shade of silver. The mason jar is made from transparent glass. It measures 10 cm in width, 10 cm in depth and 11.5 cm in height. The jar is filled to brim with glittering silver big stones. Silver stones are a sign of healing, love and positive emotions. Silver is said to bring patience and perseverance. Also (Multicolor) stones are known to reflect back negative outer energy; it is stone used for protection and healing. Additionally, stones are symbols of solidity, stability and longevity. They are said to represent luck, humility and energy, too. You can decorate your book shelves, wall unit’s showcase and coffee table or any other corner of your room with this beautiful pebble jar filled with silver stones. Buy the Big Stones Pebble Jar (Multicolor) from @home.